T-Mobile and Nokia announced today, that the nation's third largest carrier will source its 5G equipment from the Finnish telecom equipment firm. The value of the contract is $3.5 billion, and is the largest 5G deal signed to date. 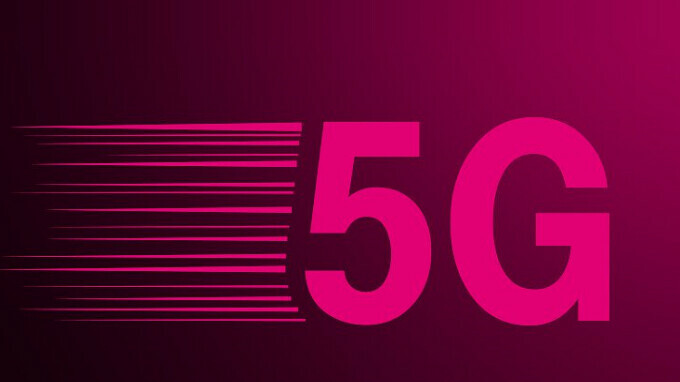 According to the contract, Nokia will supply T-Mobile with hardware, software and services that will allow the carrier to provide 5G signals over its 600MHz low-frequency spectrum and provide "ultra-high speed" service in urban markets using 28GHz millimeter wave channels. Nokia is expected to provide end-to-end 5G technology to T-Mobile, including "AirScale radio platforms and cloud-native core, AirFrame hardware, CloudBand software, SON and 5G Acceleration Services." T-Mobile is also awaiting regulatory approval for its $26.5 billion merger with Sprint. Both wireless providers have said that without the merger, neither one will be able to build a large scale 5G network. Of course, that could be propaganda to convince the FCC and DOJ to approve the transaction. Nokia, which licenses its name to smartphone manufacturer HMD Global, is one of the top providers of networking equipment world-wide. The contract from T-Mobile will give the company a huge shot in the arm as 4G equipment sales have declined over the last few years. 5G will offer data speeds much faster than what consumers currently experience with 4G. Latency will be reduced significantly, and a feature film might take only seconds to download. It also will greatly expand the IoT market as the next-gen wireless service makes many new capabilities possible. This is BS. Every network should be working on perfecting 4g before they can move on to 5G. They all need to work on getting rid of dead spots, and make sure all corners of the US are covered with the fastest 4g LTE possible. Network companies can do these things concurrently, moving on to 5G does not mean that they scrap their current plans for rollout. Plus they just have to add the 5G equipment to their towers, they have different teams working on this. All new towers are still going to have 4G/3G/2G even when they move onto 5G. These companies are not responsible for providing coverage to all corners of the US. What kind of business model is that? COO: "Hey guys, I have a great idea! Let's invest hundreds of millions, no wait, billions, on towers and infrastructure to cover all the farm land, mountains, and desert areas of the US! I know we'll never get a return on that investment, but the cattle's farts can be uploaded in real-time on Snapchat!!!" CEO: "You're fired." It's all about covering the most people in the most cost effective and efficient manner. Your proposal would either bankrupt these companies, or cause our phone bills to skyrocket. This is great news. Congrats, Nokia. It’s news like this that also lets people know that Nokia itself isn’t “dead”, and that they do things beyond licensing their brand for smartphones. "Both wireless providers have said that without the merger, neither one will be able to build a large scale 5G network" They can always build a singular 5G network that both can use.